Pacemaker III Hybrid Beet | Gurney's Seed & Nursery Co.
Spacing3-4 inches between plants; 12-24 inches between rows. 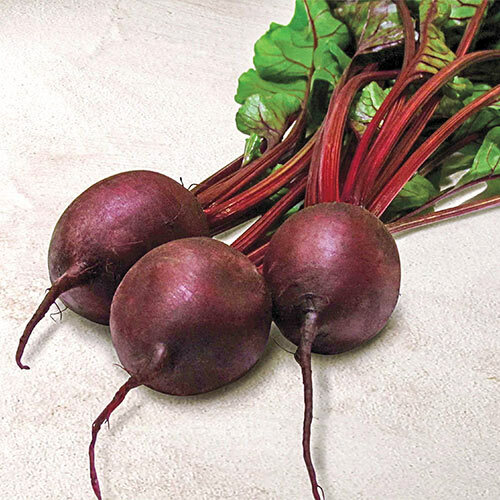 Fruit Medium-to large-sized beets boast deep red color throughout; resist "zoning" (alternating white and red rings induced by high heat in most beet varieties). Excellent flavor and crisp texture. Seed Count@400 seeds per packet. 1 oz of beet seeds contains about 1200 seeds and sows a 100 ft row. CommentsSlow to bolt, making it a good choice in most of the South, including all regions of Texas, from the hot and humid southeast to the hot and dry West.